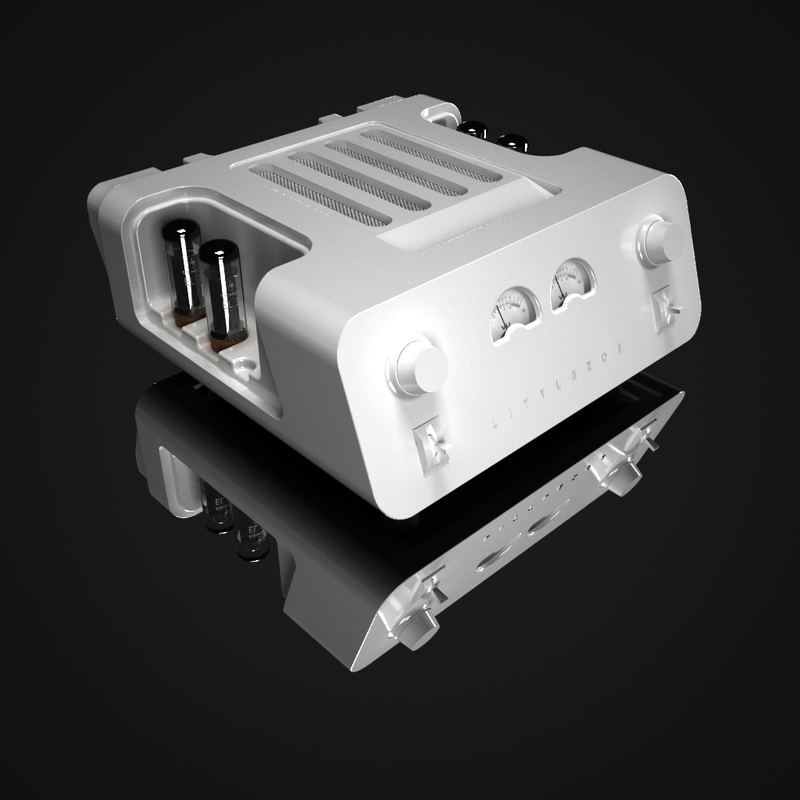 LittleZoe is a concept high-end amplifier. Its original design explores the revolutionary idea of attaining effective resonance control. The innovative chassis architecture eliminates any noise that affects the tubes and promotes the rendering of dynamic and vivid sound. In that way LittleZoe becomes a new reference in tube amplifiers design. Furthermore LittleZoe is hand made, built with selected, mostly custom high quality parts. LittleZoe. 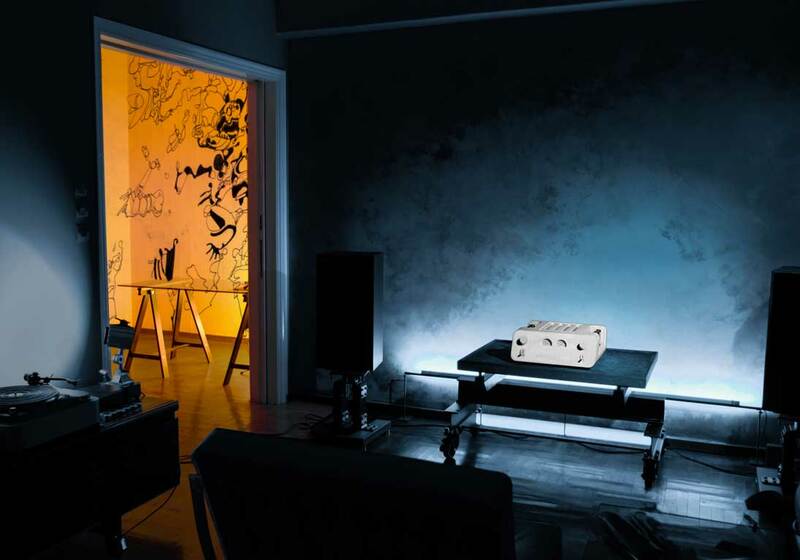 A state of the art tube amplifier with outstanding performance and an elegance that goes beyond modernity. Tubes give the absolute analog, organic, pleasant sound. There is more, magic. Purists dive in a search of exotic components to get the most of this magic. 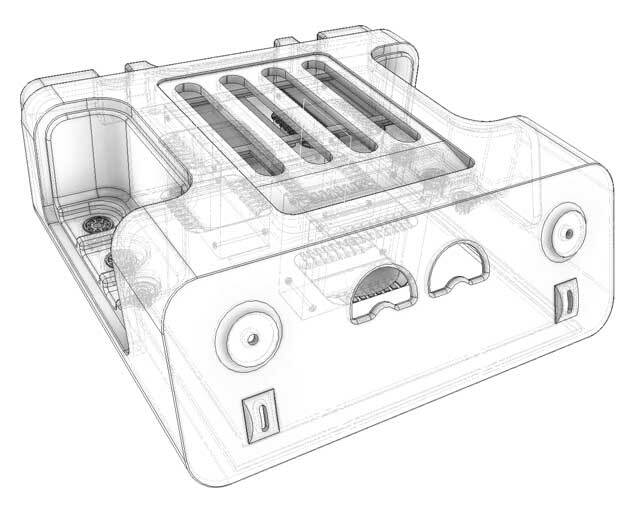 But no matter what, the tubes are "living" components, which react with the other parts of the amplifier. They are affected from surrounding sounds, the speakers and the environment. This resonance can cause microphonic sounds, ringing and distortion. LittleZoe concept focuses on discarding noises that prevent the quiet operation of the tubes to promote sound purity. * Building a solid non-resonant chassis to dampen noises in the mass of the body. * Isolating the huge transformers from the chassis and routing their energy outside the amplifier, to the ground. To achieve a "silent" background to the music, LittleZoe is assembled on a solid, one-piece body. The body is made by a special formula of fibered resin, using a complex, layered moulding technique. The material has the effect of stone. Any resonances vanish to the mass leaving the tubes unaffected by all other components. Transformers produce a serious amount of vibrations. LittleZoe’s transformers are decoupled from the rest of the body with isolators. Attached on a metal sub chassis, their energy is driven to the ground through cones and therefore not affecting the tubes. 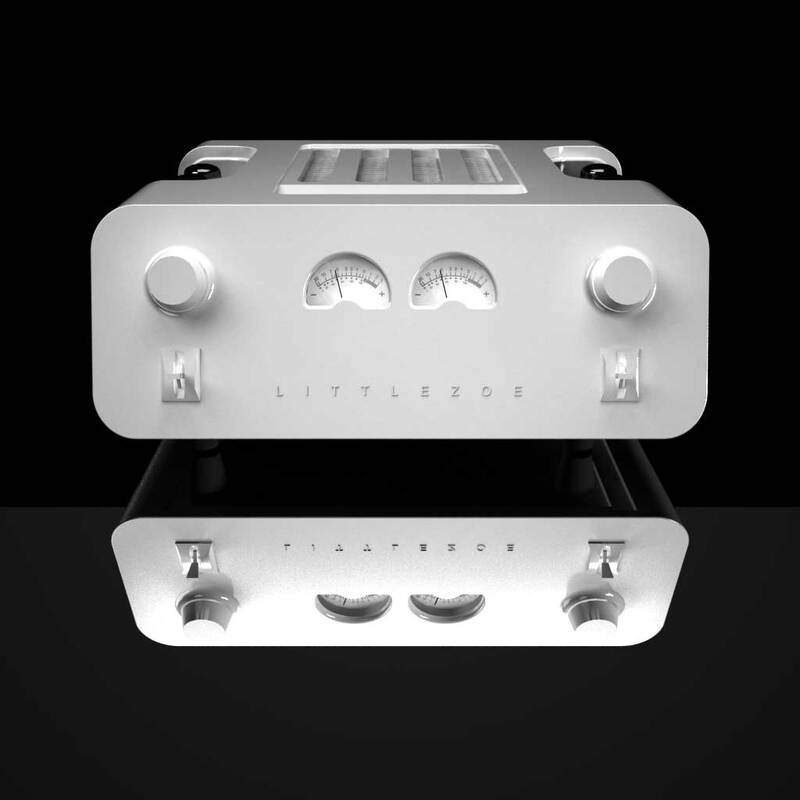 LittleZoe comes pre-tuned for EL34 tubes and its direct replacements, or for 6550 tubes - depending on the user’s taste. Each version differs only in the tuning of the tubes and can be easily retuned if desired. Special quality audio grade selected components. Regulated H.V. DC supply for voltage amplifier sections. LittleZoe’s concept is based on achieving ultimate performance. Circuit design favours simplicity over convenience and requires matched tubes. An extra switch (-20db) in the front panel provides additional flexibility for low volume levels - at late night sessions or when using very sensitive speakers. LittleZoe amp is available for auditioning in Athens, Greece. For more information on availability, please send us an email and we will get back to you shortly.